Print depicting Mr. Lowe and Mrs. Chambers as Captain Macheath and Polly in The Beggar's Opera. Print depicting Mr. Lowe and Mrs. 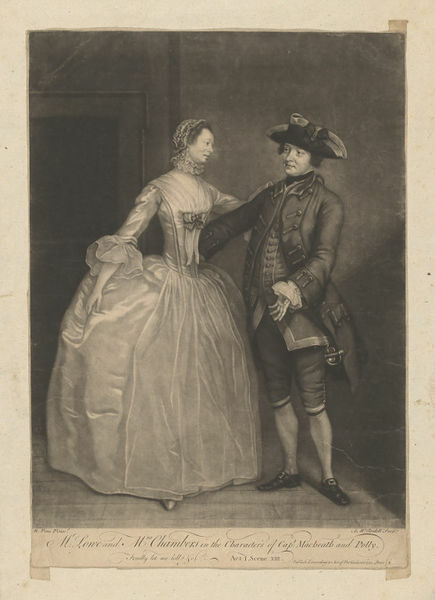 Chambers as Captain Macheath and Polly in The Beggar's Opera, 1752, Harry Beard Collection.